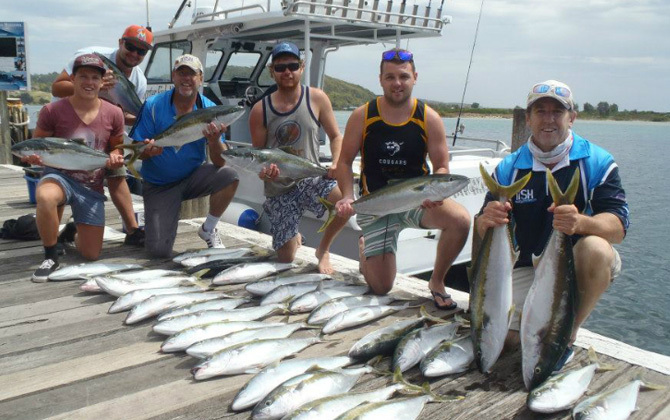 Our fishing charters can offer some of the best sport and game fishing on the South Coast. Choose from Island, reef, game, sports or surface fishing and a wide range of fish, with over 25 years local experience. Fish caught from one of fishing charters. Charter Fish Narooma uses the latest top quality gear available from our fishing tackle, lures to electronics. 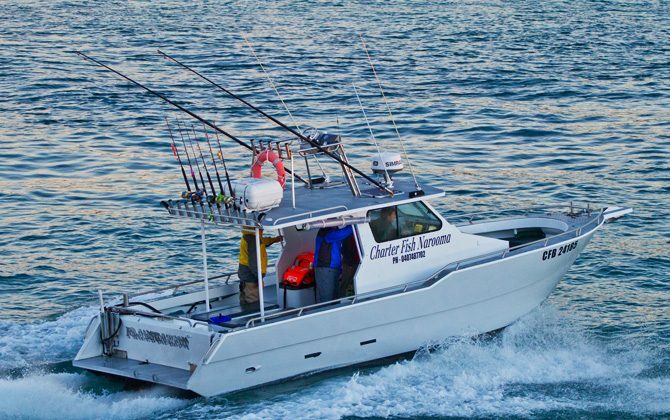 Sponsored by Daiwa Fishing Tackle Australia, our fishing charters offer the chance to use the latest rods and reels and technology on the market and with 2 purpose built fishing boat and local skippers we have a range of charter options and can cater for small and large groups, private & shared charters. We supply all tackle, bait, fishing licence, light refreshments and drinks and we will also give you a hand to clean your catch! You can view our selection of fishing charters and make a booking through our website. or a variety of other Deep Sea Species. 2 purpose built fishing boats, with toilet facilites. 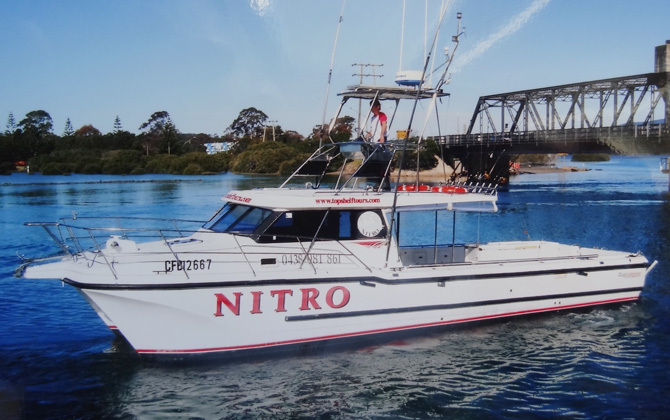 Playstation – 9.8 metre Custom Built Aluminium boat, Nitro – 11.75 metre Cougar Cat.